Now let’s get to the goodies shall we? Walking in I was overwhelmed with what to order. They offer so many delicious treats like cookie sandwiches, magic bars, fruit crisp bars, brownies, cupcakes, sweet breads, cupcakes, and donuts! 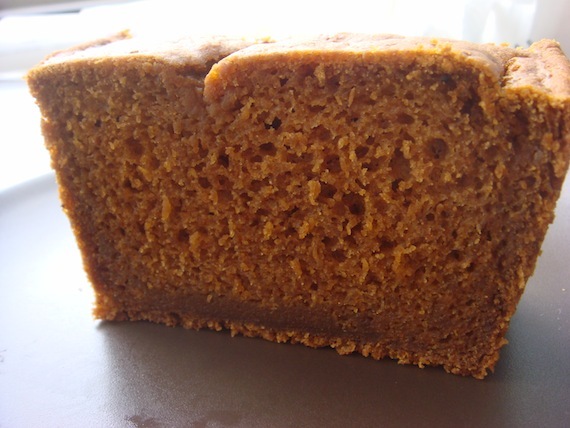 Since there’s been a chill in the air lately and it’s beginning to feel all fall like, I decided to order a slice of “Pumpkin Spice Bread” (pictured above). Absolutely mouth-watering! Light and fluffy with a delicious flavor of pumpkin. OH SO GOOD! This thing was killer, I mean never have I tasted such decadent flavors! The cookies were perfectly thin and crisp and then they put the frosting in the middle?!! 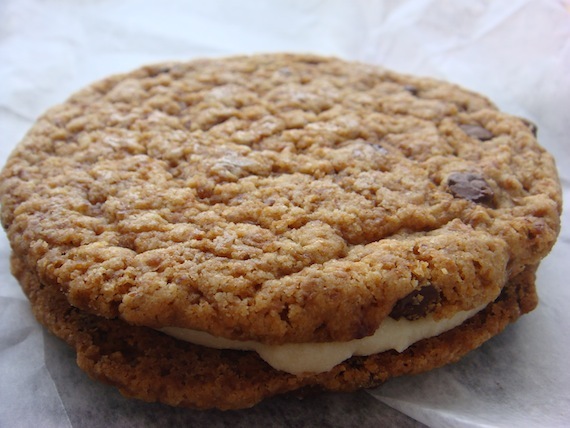 Complete and total Bliss…you have to try one! I absolutely adored this cute little bakery on South Street! Friendly staff and delicious desserts! They also serve up nice hot organic teas to go along with it! 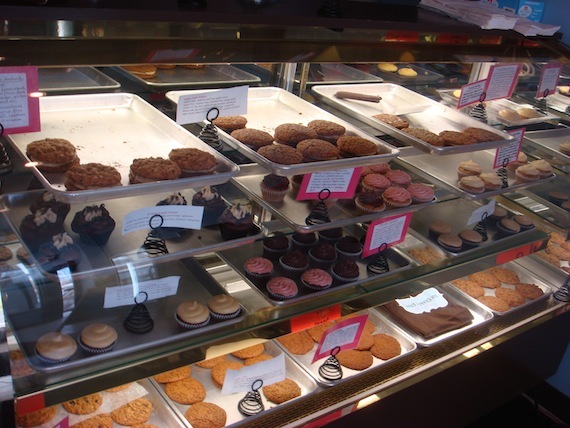 If you ever head to Philly, be sure and stop in for some healthy baked goods- you wont be sorry!! Eat clean, sweet and healthy!! i’ve had sweet freedom goodies shipped to me in LA!!! their cinnamon sugar donut is amazing – and i don’t even like donuts! Looks so fantastic, I hope something like this will open in Los Angeles soon!!! Isn’t there a Babycakes in LA? It’s also friendly for those with allergies. 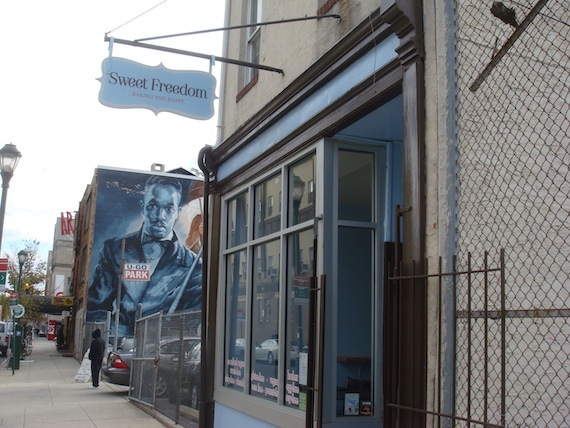 Next time you are in Philadelphia, walk one block (from Sweet Freedom) to the corner of South and Broad. There is a restaurant there called Govinda’s that gets a shipment from a bakery called Vegan Treats every Thursday. 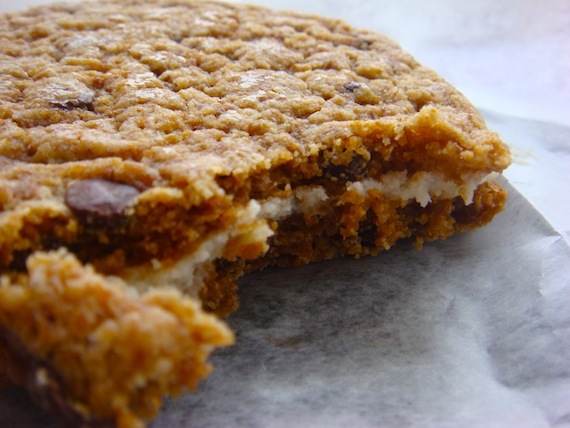 Vegan Treats blows Sweet Freedom out of the water and seriously puts it to shame. Sweet Freedom is a mediocre bakery at best. Trust me, go for Vegan Treats instead. The two are totally different. It’s like comparing cake and pudding. Sweet Freedom is for those with allergies and and Vegan Treats is for though with a massive sweet tooth who need their craving soothed by large amounts of refined sugar and Crisco, and yes she uses the vegetable kind of Crisco. The point is SFB is not trying to be anything it’s not and saying they aren’t Vegan Treats is stating the obvious. And they are also now in Downtown Disney outside of Orlando, FL. Keep up the good reviews! Mouth watering! Go Vegan Scraps/QuarryGirl! !